Is David Moyes already on the brink at Sunderland? Sunderland manager David Moyes can’t get goals out of his side this season and it could cost him his job. Sunderland suffered a narrow defeat to Southampton in Wednesday’s EFL Cup last-16 clash, stretching their winless run to five games in all competitions, and manager David Moyes is already under immense pressure given the Black Cats’ awful start to the season. 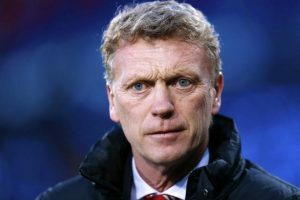 The Sunderland hierarchy were willing to give Moyes time to turn the club’s fortunes around, but if they are an unassailable distance from safety as the year comes to a close, will the Black Cats wield the axe? Sunderland find themselves 20th in the Premier League table with two points after nine games this season, and are five points adrift of safety already. The Black Cats host Arsenal next and risk going eight points off 17th place if results go against them. Sunderland supporters are used to starting seasons slowly in recent years, but their current plight is a real worry. The North-East outfit have managed just one clean sheet from 12 games in all competitions and such a porous backline sees them very vulnerable against any opponent. The biggest problem with Sunderland has been their results against sides expected to be around them in the table. Moyes’ men have suffered defeats to Middlesbrough, Crystal Palace, Stoke City and West Ham among others, and have been held by West Bromwich Albion too. If they can’t beat the sides around them in the table, where are the wins going to come from? Sunderland have gone three games without scoring in all competitions, and Moyes has to address the side’s impotence in the final third. The Black Cats aren’t shutting teams out this season so they have to pose more of a goal threat as they have lost three games to a 1-0 scoreline already. The lowest scorers in the Premier League this season, Sunderland unsurprisingly have registered the least amount of shots and they’re greatly lacking in creativity in the midfield. Averaging little over 40% possession in games, Sunderland haven’t shown the quality to get the ball from back to front in efficient to score goals, and it could well cost Moyes his job if he can’t find a solution soon. Sunderland are desperate for consistency in regard to their coaching staff but the board will be forced to act if the North-East outfit are languishing at the foot of the table in the next handful of weeks. David Moyes is 4/11 to be the next Premier League to exit his post. Is he finished at Sunderland?